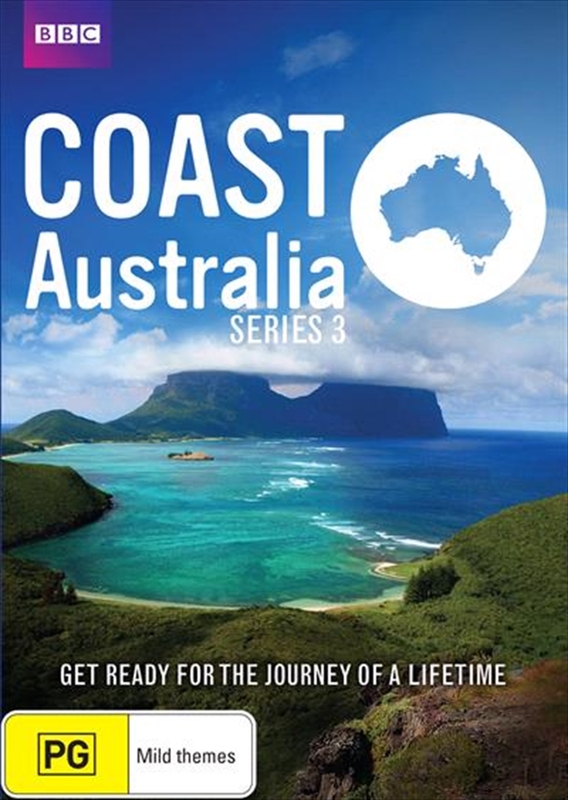 Coast Australia Series 3 DVD - On Sale Now With Fast Shipping! Neil Oliver heads a team of six expert presenters who travel to eight regions of Australia to highlight glorious coastal areas, revealing the often little-known stories of these spectacular places and meeting their local characters. Series 1 just scratched the surface of a remarkable 60,000 kilometre coastline and left hundreds of stories untold. In this series, Neil visits the Duyfken, a replica 16th century Dutch ship; learns the story behind the construction of Fremantle Harbour; takes to the air on an RAAF mission; and becomes one of only five people known to have set foot on the isolated island of Skull Rock. Also on the itinerary are the Bass Strait, Victoria's notorious Cheviot Beach, Cockburn Sound, Byron Bay, Gabo Island, Eden and many more intriguing locations.